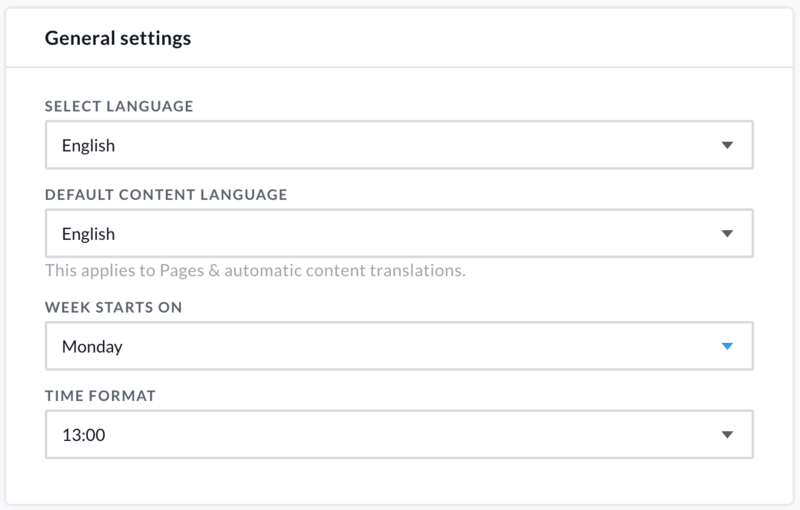 How to change your language, add extra info to your User Card and set Notification settings. Everyone has their own settings. 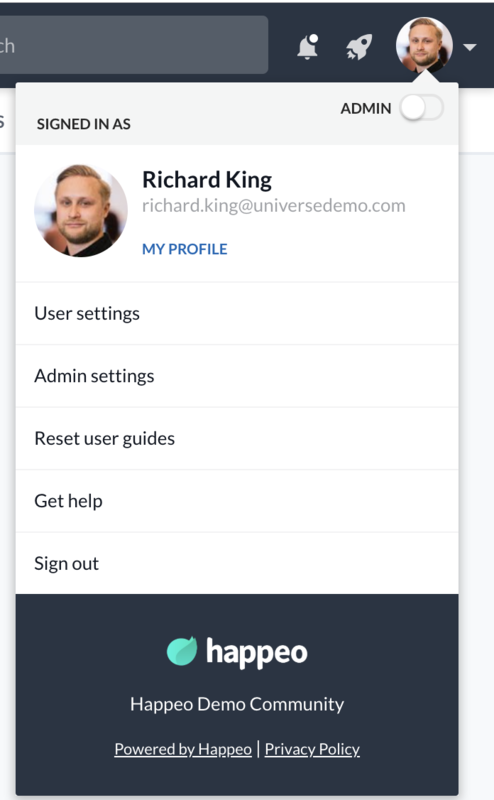 The settings can be found by clicking your image on the top right corner and pressing "user settings". User Settings consists of four tabs. From here you can change your profile picture. Your profile picture is taken from your Google account so you will be directed to your Google Account to update your profile picture. 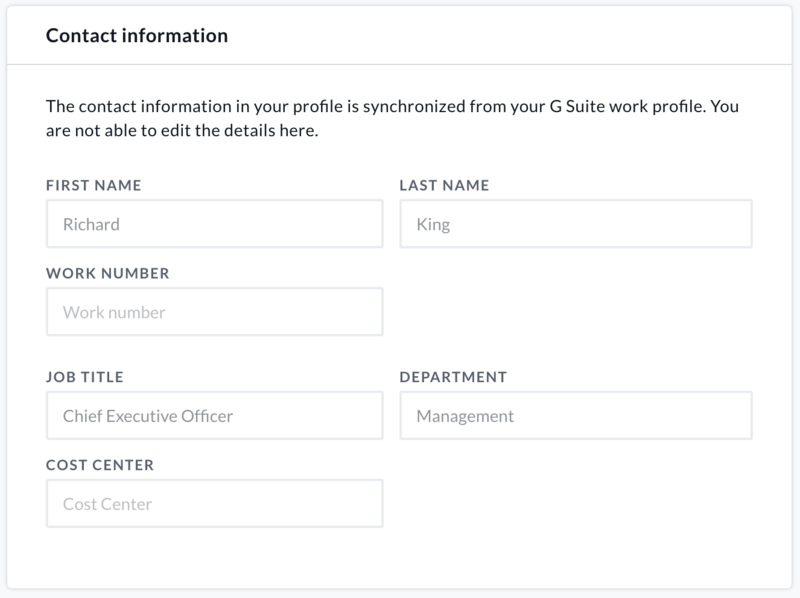 You can also see your contact information this is synced from G Suite so you cannot update the information. If it is incorrect please contact your G Suite admin to get this information corrected. 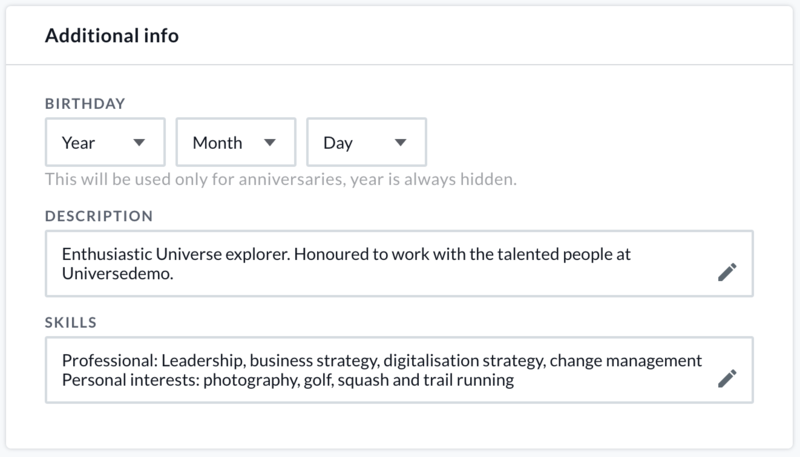 You also have the option to add your birthday and additional information to your profile. Such as a description and your skills this additional information is visible in your User Card and will also help others find you in the Search. General settings allow you to choose the applications language, default content language, Week start day and time format. You can also set an out of office. This can be done either by importing from Gmail or manually setting it. From Notification Settings you can set general notification settings, such as enable or disable desktop notifications, enable or disable email notifications and the daily digest. You can also see all the Notification Settings per Channel and change the ones you want. These Channel notification settings can also be managed from within every Channel. If Lifecycle Management is enabled by a Happeo admin the Lifecycle tab will show in the User Settings. From the Lifecycle tab you are able to see all Pages and Channels that you are the Owner or Author of and the status. From this tab you are able to review and update Page content and Channels to ensure that your Happeo content is up to date.